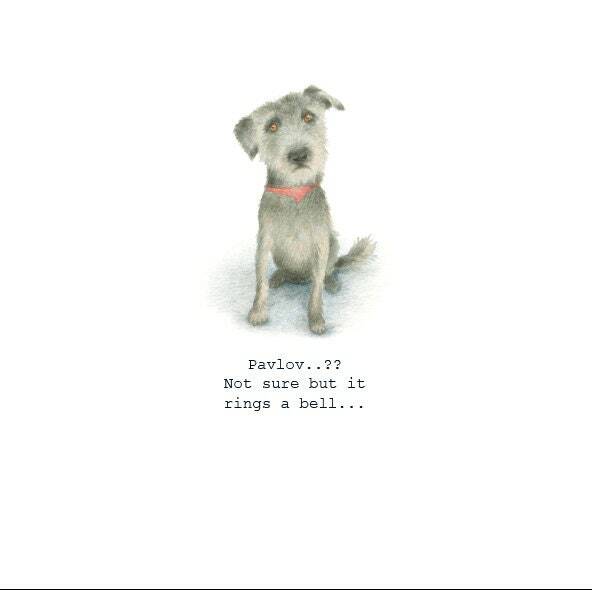 Funny card with reference to Pavlov's dogs saying "Pavlov..?? Not sure but it rings a bell." Prob need to know about Pavlov and his experiments or just like black scruffy dogs. 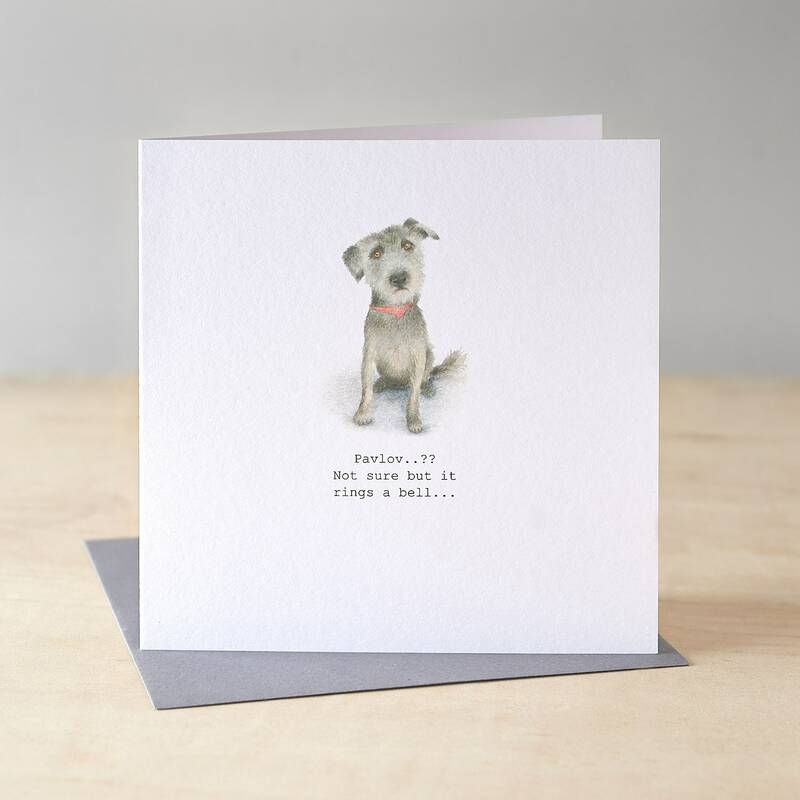 This illustration is reproduced from one of my original water colour paintings. The card is wrapped in a protective cello wrap envelope and sent by first class post ( for free) in a hard backed envelope. What's not to love? 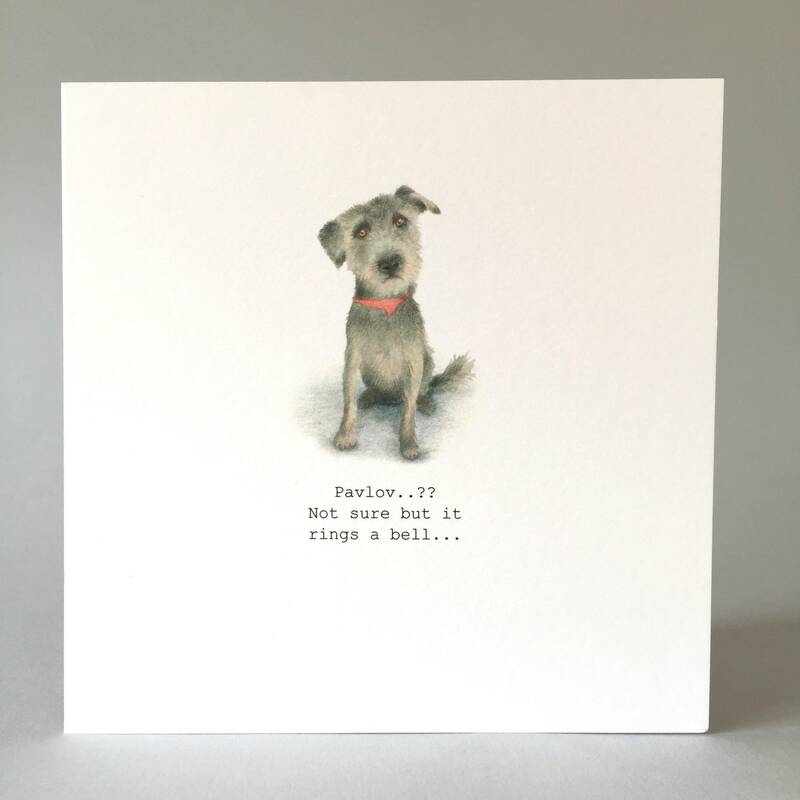 lovely card - promptly posted.